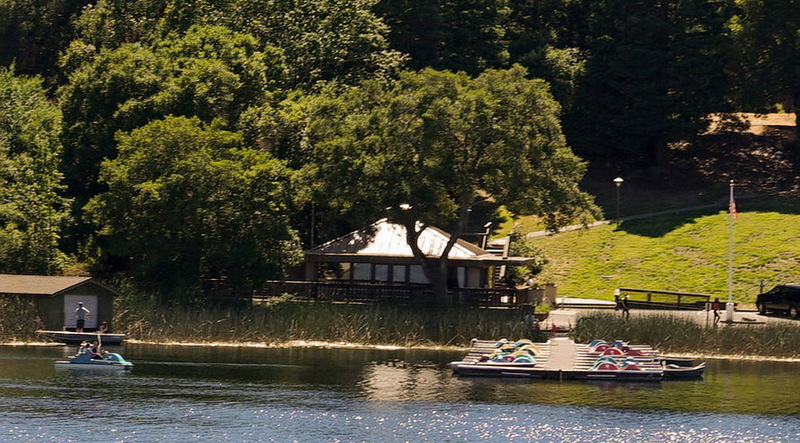 The LaFayette Reservoir has hiking trails, BBQ areas and one of the most fun things to do there in my opinion,Pedal Boats! Let me start by saying I’ve lived in the area for about nineteen years now and I never knew about the LaFayette Reservoir. Occasionally I drive by it but from the freeway you can’t see any of it’s hidden beauty. So time after time, year after year I just drove by… One day, I Googled it and saw it had hiking trails around it so I decided to see to see it for myself. I took a drive over to LaFayette and found the entrance and to my surprise there it was, the reservoir and it was surrounded with hiking trails and pedal boats! I got out and walked around, shot some photos and decided to come back and hike it. My sister (Millie Panama) came out here to train for a new job and is staying with. She’s a health nut and likes to be active so I took her to the reservoir and we hiked all the way around it. I don’t know exactly how far we walked because we didn’t start our trail app until we were already a ways in but it looks like we did about 2.5 miles. We paid for an hour which cost $15.00, grabbed our life vests and headed out. I wasn’t so sure I wanted to do this but I have to say, after a short hike for an out of shape person like me, it was extremely relaxing and fun. In fact, we enjoyed it so much we have decided to go back for the next few weekends and do it again and again while she is out here. Incorporating the hike around the Lafayette Reservoir and a pedal boat ride is definitely going to part of my “getting back in shape” routine. The hike we took was completely paved but there are many off the path trails around the reservoir as well. Perhaps these dirt trails are for more experienced hikers than yours truly. For now I’ll stick to the paved trail and paddleboats. Hiking around the reservoir and then taking a paddle boat out to cool down is a great, inexpensive and fun way to spend the day or at least a few good hours of your day.